Name one dream for your family. I personally love this idea. As a dreamer, creative, and visionary, I am always thinking about a whirlwind of my individual dreams, but to change the focus to envision a dream for my family is exciting! From my experience, this question is rare on a societal level, but what a difference it could make for so many families, like for example, the Webb Family. Matt Webb and his wife, Eva, were asked the question "can you name one dream for your family" during a group marriage counseling class in November 2011, and their answer, to travel the US with their family. 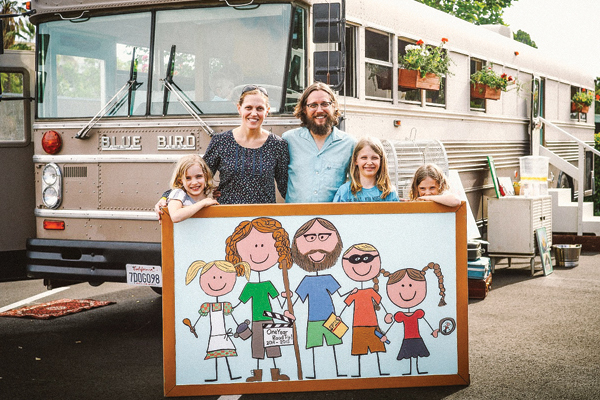 Just a few years later, Matt, Eva, and their three children are taking that dream to reality as they embark on a mission called "One Year Road Trip," a documentary featuring a "Generation of Generosity". As a family, they will criss-cross America, visiting 50 states and DC, in search of children who are changing the world. The film will be used to inspire and empower kids to go out and change their world. 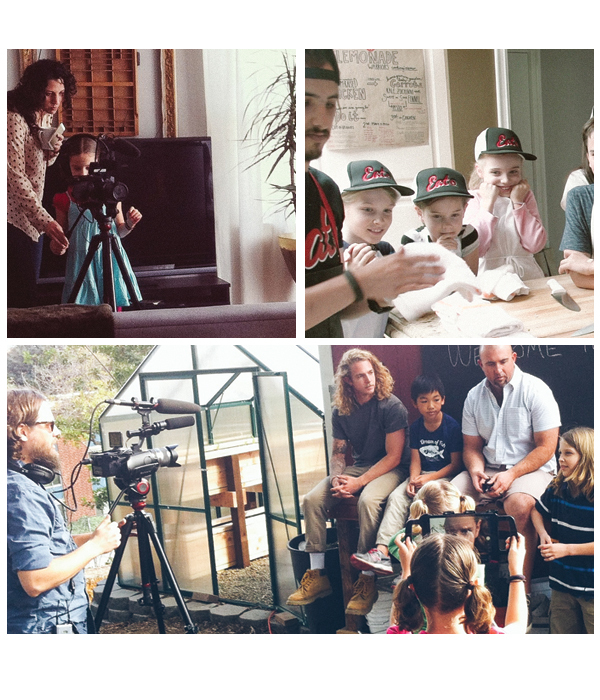 Learn about the Webb family's multi-media film project as they kick off their One Year Road Trip. Q | Tell us about yourself We are a family of 5 from Pasadena, CA. Matt and Eva, the parental figures, grew up in Indiana and Pennsylvania, respectively, but met on a mountain in Haiti sifting compost on a farm. Matt was doing community development work while Eva was teaching at an international school in Port-au-Prince, and they quickly connected over long conversations about classic rock, world travel, art and adventure, and their mutual desire to help the marginalized. After dating, marrying and living in Haiti for a couple more years, they returned to the states and in 2004 they headed west for Matt to try to make movies in Los Angeles. Fast forward 10 years, 3 kids, 2 feature films and a pile of music videos later, and we are now about to embark on a big new adventure: The One Year Road Trip. Matt is a filmmaker, semi-pro ice cream maker, and self-proclaimed potager (soup chef). If he’s not making movies, he’s either watching them, writing them, or reading books to his kids that he hopes to someday set to the silver screen. Shaped at a young age, Matt’s heart is for service and his favorite memories are doing service projects with his family. Eva grew up near the Appalachian trail, and her love of nature still drives her on. She loves learning about other cultures, and whether it’s teaching ESL, traveling abroad or just catching a foreign film, she always makes room to grow. Our oldest, Jack, is 10 and loves Legos, stop-motion animation, and seeking justice. He’s also a writer and capoeirista, and wants to prove that normal people can be superheroes, too. Solveig is 8 and, like her namesake, is a burst of sunshine. She’s full of warmth, and makes everyone she meets feel valuable and loved. Whether it’s music, dance, painting or drawing, practicing art is the language of her heart. Evie is 7 and is a delightful mix of courageous risk-taker and snuggly mama’s girl. Though the youngest in the family, she’s unafraid to try everything her older siblings are doing, and you can usually find her running out in front of our entire family. Q | What inspired you to launch One Year Road Trip On the last night of our group marriage counseling class in November 2011, the facilitator asked us to name one dream we had for our family. While Eva was too wrapped up in everyone else’s dreams to put something together, Matt admitted he’d love to spend a year traveling the US as a family. While Eva was surprised, she warmed to the idea, and before long the whole family was deep in conversation about what it could and should look like. 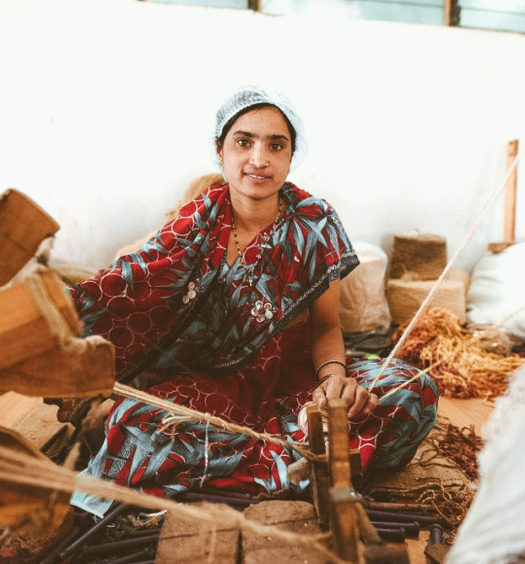 We wanted it to be more than just a vacation, but we also knew that we couldn’t do lasting, transformational work in a community if we were constantly moving on. That’s when we decided to make a documentary about people who WERE doing lasting transformational work, and who better to interview than kids?! We had landed on something that had the potential to be powerful, would fit our family’s gifts and interests, and would surely transform us in the process. Q | What will One Year Road Trip Look like and Who Is Part of it? One Year Road Trip will look a lot different than we originally envisioned, but so much BETTER! Not only will we be making a documentary that we hope can inspire and empower kids to go out and change their world, but we’ve also brought on strategic partners to turn One Year Road Trip into a legacy project. 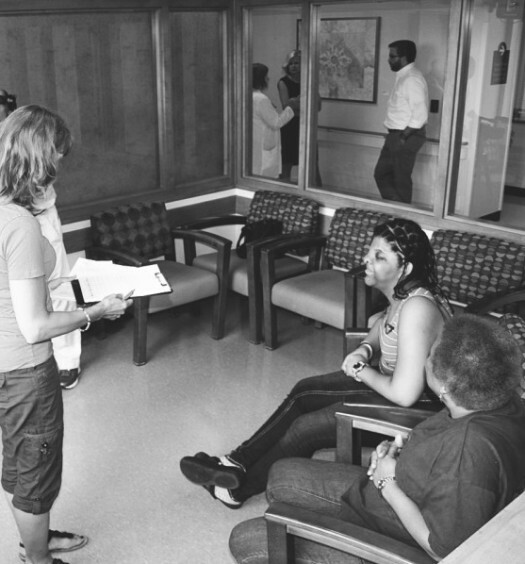 First, local psychologists from here in Pasadena will use the interviews in a child development study to learn what factors shape kids to be young change-makers, and develop strategies to foster those behaviors in future generations. Second, we're partnering with DCo Edge, a local business consulting and dream-launching incubator to help mentor and grow these change-makers to make lasting impacts into the future. Our plan is to collectively follow up the documentary with seminars and events that empower, resource and inspire kids, parents, teachers, community developers and civic leaders to join forces in order to increase the impact of these young change-makers. Our mission is to help usher in an entire Generation of Generosity. Q | Tell us about Generation of Generosity and the mission behind this idea? One Year Road Trip is the first step--the research and development phase--for the larger mission of driving a Generation of Generosity. Upon our return to California, our mission is to create experiences (conferences, seminars, retreats, etc.) that provide a space for kids, parents, educators, community developers and local leaders to all come together under one roof and discuss various challenges facing local and global communities. Kids will have the opportunity to work with their leadership teams under the mentoring of DCo Edge to strengthen their own social entrepreneurial projects to be more impacting. Parents, educators and psychologists will have the opportunity to learn from the work of the child development study and imagine new ways to create environments fertile for the growth of future generations of change-makers. Community developers, civic leaders and kid change-makers will have the chance to hear how young change-makers are addressing challenges around the US, and consider ways in which those stories might be translated to apply to similar challenges in different contexts. And everyone can come together to work in cooperation, tearing down barriers, and addressing community challenges as a community. Q | What is one piece of advice for a young change-maker? Pinpoint something you love and are passionate about, and find a way to use that passion to show compassion to others, to benefit them and the world. Q | How can we support you and get involved? There are lots of ways you can support and be involved with the One Year Road Trip project and the subsequent Generation of Generosity movement. First, you can be part of the change by making a tax deductible donation to the One Year Road Trip project through our Indiegogo Crowdfunding Campaign or through our fiscal sponsor, Fractured Atlas*. With this funding we will complete the interview stage of the project, complete the child development study, launch initial trials of the social entrepreneurial mentoring process in conjunction with DCo Edge, and create a national awareness of the movement. Second, you can share our story with others. Invite your friends, family and others you think should know about and be involved in driving the Generation of Generosity to do the same. Third, you can share with us stories of kid change-makers in your own community. While we cannot meet and interview every young change-maker in America, we can share their stories and use them to encourage and inspire potential young change-makers who just need a little motivation to action. 5. foundations committed to resourcing children to be change-makers locally and globally. *Fractured Atlas is a 501(c)(3) public charity. Contributions for the purposes of One Year Road Trip are tax-deductible to the extent permitted by law. Editor's Note: Matt Webb and One Year Road Trip are joining Conscious to kick off a monthly column of stories called "Generation of Generosity". Stay tuned! A very informative, well written and enjoyable piece about 5 of my most favorite people.